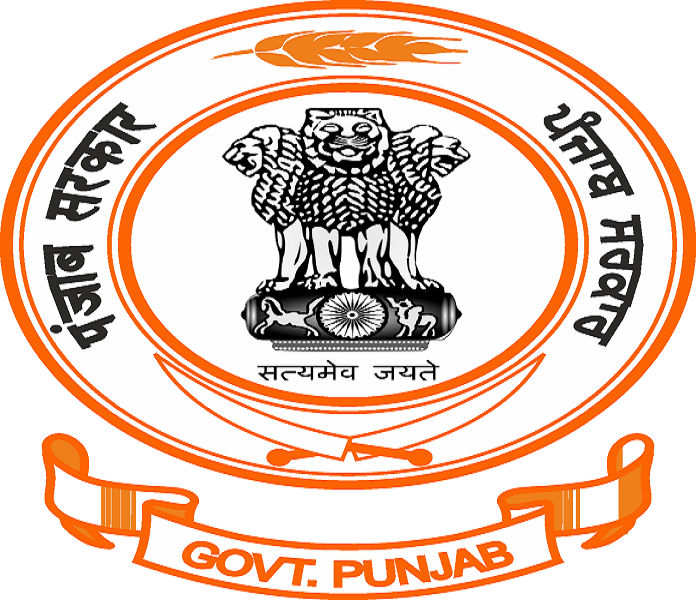 Sangrur is one of the four districts in Patiala Division. It is bounded by Ludhiana district in the north, by Barnala district in the west, by Patiala district in the east and by Ftehbad district (State Haryana) in the south.Sangrur, the headquarters of the district administration is directly linked by road with Chandigarh (142 Km), Ludhiana (80 Km), Budhlada (73 Km), Delhi (257 Km), Sultanpur (189 Km), Gurdaspur(250 Km), Ganga-Nagar(240 Km), Nangal (Km). It is also directly linked by rail with Ludhiana and Jhakhal (in Haryana). All the Municipal Towns of the district except Bhadaur, Bhawanigarh, Dhanaula and Longowal have railway stations. The climate of the district is on the whole dry and is characterised by a short monsoon, a hot summer and a bracing cold winter. The year may be divided into four seasons. The cold season from November to March is followed by the hot season lasting up to the end of June. The period from July to mid-September constitutes the rainy season, of south-west monsoon, the second half of September and October may be termed the post-monsoon or transition period. At Sangrur, there is a meteorological observatory functioning since 1970. The available data of this station are not sufficient for the preparation of normals. The account which follows is, therefore, based on the records of this observatory together with records of observa- tions in the neighbouring districts where similar climatic conditions prevail. Temperature starts rising from middle of February and from about the beginning of March increase rapidly till June which is generally the hottest month. The mean daily maximums temperature during June is around 104F(40C) and the mean daily minimum is around 80.6F (27C). The heat is intense in summer. On individual days, the day temperature may occasionally exceed 116F (47C) or 118.4F(48C). Scorching dust laden winds which blow during the hot season render the weather very trying. Afternoon thundershowers which occur on some days bring some relief although temporarily. With the onset of monsoon by the end of or the beginning of July, there is Junea drop in the day temperatures but nights continue to be as warm as in June. Due to increased humidity in the monsoon the weather is oppressive in between the rains. At the end of rainy season, by the middle of September, there is a decrease in temperature, the drop in the night temperatures being more rapid. After October, both day and night temperatures decrease rapidly. January is usually the coldest month with the mean daily maximum temperature at about 68F (20″C) and the mean daily minimum at about 56.6F (7C). In winter, particularly in January and February, cold waves in the wake of passing western disturbances affect the district and the minimum temperature occasionally drops down below the freezing point of water. On such occasions frosts are likely in the district. During the south-west monsoon, season July to September the relative humidity is high, being 75 to 80 per cent in the mornings and about 55 to 65 per cent in the afternoons. High humidities of more than 70 per cent also prevail during the winter months, December to February. It is comparatively drier during rest of the year. April and May are the driest period of the year when in the afternoons the relative humidity is 25 per cent or less. There are five rain gauge stations in the district, which started functioning from 1954. Average rainfalls, monthly as well as yearly, and the number of rainy days recorded at these five stations and for the district as a whole based on data upto 1980 are given in the Tables 1 and 2. The frequency of annual rainfall in the Sangrur District from 1954 to 1970 are given in Table 3. The period of availability of data of these stations being not sufficiently long, the description that follows is based on these short period data augmented by the rainfall data of the neighbouring districts. The average annual rainfall in the district is about 590 mm, the maximum (about 73 per cent) falling in the months of July to September, July being the wettest month. The rainfall in the district increases from south-west towards the northeast and varies from about 490 mm, at Sunam to about 670 mm at Malerkotla. There is some rain, mostly in the form of thundershowers, during the pre-monsoon month of June. Some rain is also received with passing western disturbances during winter. The variation in the annual rainfall from year to year is large. In the 17 year period 1954 to 1970, it is seen that the highest annual rain- fall in the district amounting to 18.2 per cent of the normal occurred in 1955. The lowest annual rainfall which was 58 per cent of the normal occurred in 1965. The annual rainfall in the district was less than 80 per cent of the normal in five out of 17 years. For the district as a whole, two consecutive years of such low rainfall occurred once. Considering the rainfall at individual stations. It is seen that similar rainfall has occurred at least once in four out of five stations. Barnala and Malerkotla had however such rainfall twice. It will be seen from Table 1 that the annual rainfall in the district was between 450 and 750 mm in 10 years out of 17. On an average, there are 27 rainy days (i.e. days with rainfall of 2.5 mrn or more) in a year in the district. This number varies from about 24 at Sunam to about 31 at Malerkotla. The heaviest rainfall in 24 hours recorded in the district was 377.5 mm on 9 August 1976 at Barnala. Winds are generally light but do gain some strength during the late summer and early part of the monsoon season. In the south-west monsoon season winds from easterly and southeasterly directions are more common with north-westerlies blowing on some days. In the post-monsoon and winter seasons, the predominant wind direction is north-westerly. In the summer, winds are generally from north-westerly direction but on some day sthey blow from south-east. The district is scarcely affected by monsoon depressions. During the cold season, passing, western disturbances affect the weather over the district causing few thunder storms. Rain during June and the monsoon season is often accompanied with thunder. Dust storms occur occasionally during the hot season.